Google Partner Agency | Trusted By Google To Deliver Results! When you are looking for a digital agency, it’s important to find one that you can trust. When you work with us, you are working with people who have proven their skills and expertise in helping businesses succeed online. As well as a badge of honour for us and an assurance that we can help our clients, the status demonstrates our AdWords capabilities. The accreditation means that we have helped businesses with ambitious Google ad requirements, delivered high-converting campaigns and sustained and expanded our related client base. There are many benefits of working with an agency that is a Google Partner, especially when it comes to seeing a return on your ad spend. 1) Assurance of a high level of service. Partners must maintain campaigns to Google’s strict standards or risk being dropped from the program. Partners tirelessly work to improve the standards of their services to ensure they retain their status. You can be sure they are striving to help provide your business with a strategy that delivers a strong return on investment. 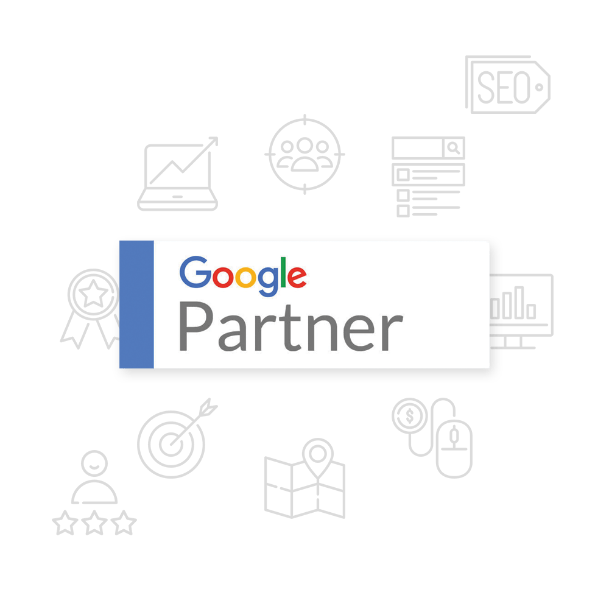 Working with a high-achieving Google Partner means their employees will have Google exam certifications in all areas of marketing. Google assures these exams are set to the highest standard with only the most experienced individuals achieving a partner status. Google Partner qualified experts will work to the most up-to-date practices. In order to keep hold of their Google Partner status, agency members must take exams in at least two areas of specialisms. They are also able to access training in all areas of marketing, so you can be confident that your agency is at the top of its game. 4) Research before it’s released. Partners also have access to Google’s beta features so they can test them out and give their feedback before they are made public. Partners also have access to Google’s research materials, training resources and product updates to ensure they never miss a trick. What makes us a Google Partner? The road to becoming a Google Partner is fraught with challenges. You can’t just walk into a Google exam with little experience and expect to pass with flying colours. You need to be trained to an expert level to secure this prestigious accreditation. Bigfoot Digital has over 20 years’ industry knowledge and experience delivering results that exceed our client’s expectations. Now that we have achieved this recognition from Google, we continue to refine our practices to retain our status.